Through the wonders of technology everyone can get connected to the Internet while away from home; even in a remote location. The Internet has become such a huge part of everyone’s life to the point where people literally make their living on it. With a situation like this you cannot really go too long without a connection. But what if you are off the grid and need to get on the web? What devices do I need in order to receive the speeds that I need? These queries are why we have put together a purchasing guide just for you! Maybe you are a remote worker on an oil field, way out in the country or desert in the United States, in a foreign country as an aid or consultant, or you simply like spending time fishing in the ocean. Either way you would be way too far out to get an Internet connection. This is where satellite hotspots come in handy. You can use a mobile hotspot from a cell service provider but this will only cover you in certain areas; not out in the middle of nowhere. This is where the problem is. There are too many reasons to mention as far as why someone or even a company or corporation would need satellite communication since it covers every single corner of every market. From businesses to governments, aviation, maritime, and even just personal uses make global communications impossible to calculate as far as value. 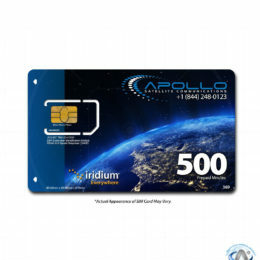 At Apollo Satellite Communications we have anything you need for devices and services for your satellite communications solution. We can literally be your one and only stop! We have satellite phone rentals, portable satellite Internet devices (satellite hubs), satellite tracking devices, satellite terminals, and solutions for every corner of the market up to and including services as well. Also, we have personalized support if you need some help so you can get connected as quickly and easily as possible.